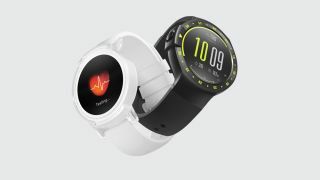 Last month, smartwatch maker Mobvoi teased the launch of the affordable Ticwatch E2 on its website but gave no details on when it would be announced. All we know is that it will be swimproof and come packing Google’s Wear OS. Over the weekend, however, Mobvoi tweeted that "something new" will be announced on October 22. While we’re excited to know if it truly is the Ticwatch E2, the tweet shows the image of a watch with two buttons – notably different to the single-button wearable that was teased last month. Mobvoi currently has two smartwatch series available in the market – the Ticwatch E and the Ticwatch S. So if this isn’t the Ticwatch E2, we can only assume that it’s a new S series wearable. But take that assumption with a pinch of salt as the company has managed to be rather tight-lipped about its upcoming device. However, there isn’t long to go for the official reveal of what Mobvoi has in store for us, and we'll keep you updated as soon as we know more.